Beautifully designed and crafted to endure. Upholstered in a durable leatherette and black finished legs. Features flair tapered arm, arched seat back and flared legs. Also available in brown, and black. 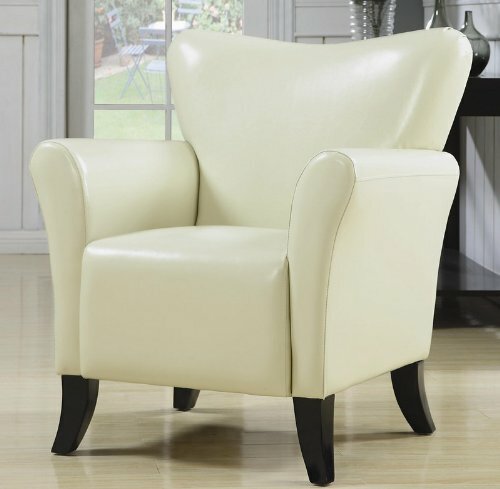 Accent Chair with Flair Arms in Ivory/Cream Leatherette Living Room Living Room->Accent Chairs Some assembly may be required. Please see product details.